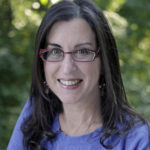 There are things in Israel you have to do: The Western Wall in Jerusalem, the Church of the Holy Sepulchre, the Dead Sea, the nightlife of Tel Aviv, and Jerusalem’s Holocaust Museum, Yad Vashem. But then there are the off the beaten track behind-the-scenes things you need to check out. For those with limited days – or those who’ve already visited once — here are some “insider” alternatives. Instead Of: Jerusalem’s Western Wall, the holiest site in Judaism and the only remaining remnant of the Jew’s Second Temple. 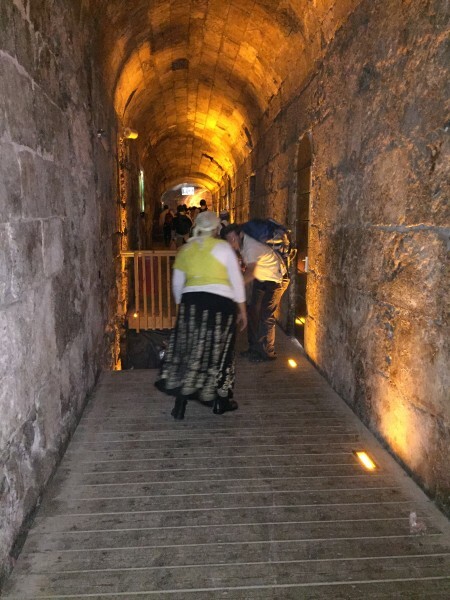 Do: The Western Wall Tunnels, an underground tour showcasing the archeology behind the wall and the history of its crevices. This is still a very active archaeological site which only makes it more fascinating. The tour is about 75 minutes and books quickly so reserve a few months in advance. Instead Of: Masada, an ancient fortification in the Southern District of Israel dating to 37 and 31 BCE. 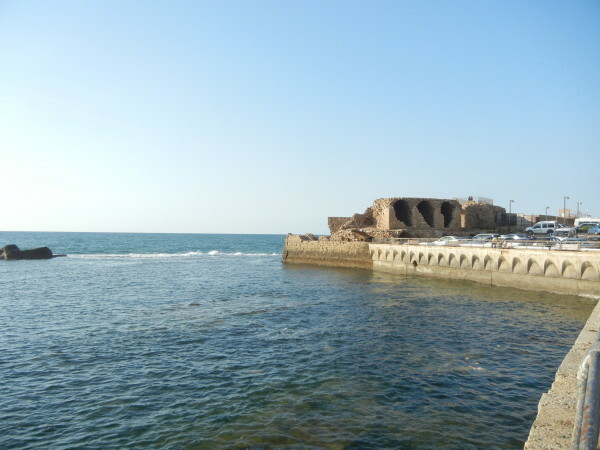 Do: The city of Acre (Akko) on the northern extremity of Haifa Bay. As one of the oldest continuously inhabited cities in the world (dating back to 1504-1450 BCE), you’ll find the remnants of Crusader, Muslim and Ottoman conquerors. A must: Touring the subterranean Crusader City including a Turkish bath and Templer tunnel. Just as enjoyable: Walking the labyrinth of narrow streets of the city and taking in the atmosphere. You’ll find the freshest fish at Uri Buri where you’ll no doubt be greeted by the propertier himself, a Santa Claus of a man who is quite serious about seafood. For a total immersion of this magical place, check out Buri’s boutique property, the Efendi Hotel where you’ll wish the walls could talk. Eight years in the making, this gem of a property is built on the foundations of an 8th-century structure, and features 13 meticulously designed rooms, a subterranean wine bar and Turkish hamam (steam room and spa). No worries if you don’t want to pay the $400 room charge: The gorgeous rooftop deck is open from 4:30 p.m. t 6:30 p.m. for drinks and light snacks with one of best sunsets you’ll ever see. Do: One of Israel’s Hot Springs, mineral-rich thermal pools dating back to the days of the Talmud and the Roman Empire. If you plan your day to the Dead Sea area wisely, you can do both as they are not far from each other. Ein Gedi Hot Springs, officially called the “Sea of Spa,” features a number of health care treatments. Located here: Six thermo-mineral pools including a separate facility for men and women, a variety of spa treatments, and free access to the Dead Sea shore. If You Have Time: Consider a visit to Qumran where the Dead Sea Scrolls were found. The park is open from April to September from 8 a.m. to 5 p.m. and from October to March until 4pm. Just be warned, it can be very hot in the summer. Tours are generally one to two hours. The official website of the Israel Ministry of Tourism has all the information you need. Instead Of: Any corner shawarmaa shop in Tel Aviv. Do: Miznon, a boisterous and fun eatery where everything – including ice cream — comes in a pita. These are not your usual fillings either…especially when they come from the mind of Israel’s eccentric celebrity chef Eyal Shani. Expect entrecôte with fried egg or ratatouille. They’re big, they’re messy but they’re worth every napkin (there’s a silver bowl on the table to deposit said napkins – you’ll go through a lot). Whatever you do, don’t miss the perfectly roasted cauliflower laced with golden edges elevating this humble vegetable into a side dish you will literally bow down to and adore. My advice? Order two. I would literally fly back to Israel just for this meal. Three locations: One at King George St 30; another at Ibn Gvirol St 23; a third on HaBarzel. And hey, if you can’t make it here, they opened another branch in Paris. Just sayin. Do: A boutique hotel like the funky Diaghilev, an authentic Bauhaus building. Inside, the hotel is true to its art form with ever-changing exhibitions and cultural events, all of which give tribute to the city. Plus, if you like something, you can buy it — all of the objects displayed in the hotel are for sale. Another one that gets high marks (though you will pay for it): The Norman , a 1920’s property that combines the best of the past with the present. Do: Austrian Hospice a little bit of Vienna (it has an amazing Viennese coffee shop with delicious apple strudel) meets hostel. The rooms are small, clean and affordable, the best deal in Jerusalem made better by the fact that you’re smack dab in the Old City, in the middle of the Via Dolorosa complete with a picture-perfect view from the rooftop terrace. 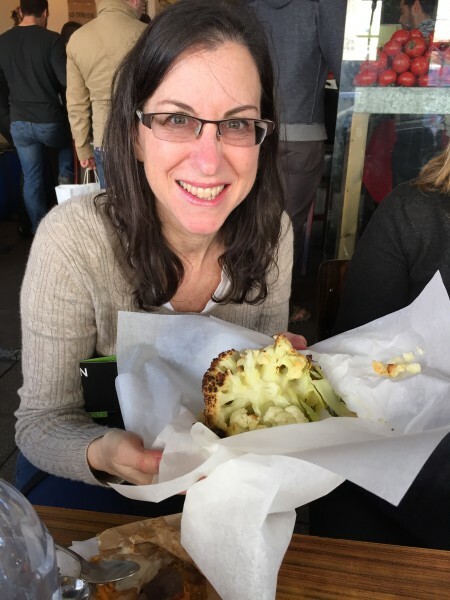 Another Do: The hip, happening Sarona area with its open-as-of-mid-April Sarona Market. Also the Gan Ha’hashmal neighborhood, the Brooklyn-esque up-and-coming hub for all things artistic and fashionable. Do: Yes, the Carmel Market is amazing – I wrote about it here – but if you’ve been once before and have limited time, you’ll want to spend an hour or more at Shai Seltzer’s cheese farm where, after a bumpy ride along rural dirt roads, you’ll find this friendly proprietor his son, Omer, and their 170+ goats. 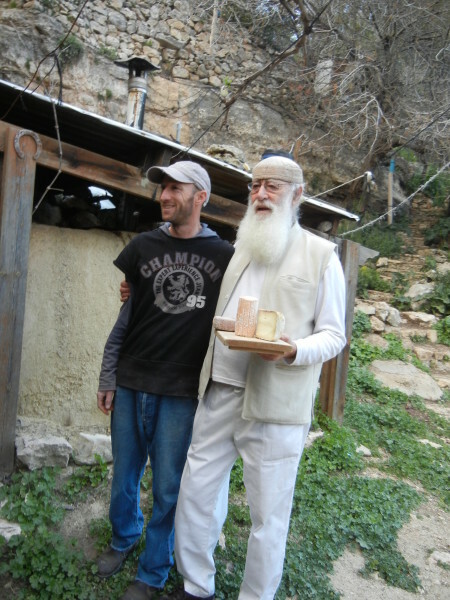 They have been on this Judean mountainside since 1974 and make the most delicious, flavorful melt-in-your-mouth cheeses, the likes of which you’ve most likely never tasted before. The cheeses vary with the season and yes, tasting is encouraged. Sample, then buy and sit (though also be prepared to wait: This is where Israelis come to while away the day with their kids and pick out their cheeses.) (The “store” where you buy is a hundreds-year-old cave.) There is plenty of room to order a bottle of wine, enjoy platters of sun-dried tomatoes, olives and freshly-baked pita and while away the afternoon. Go to www.goat-cheese.colil for more information but bear in mind they are only open on Fridays and Saturdays 11 a.m. to 4 p.m. This is, after all, a working farm. 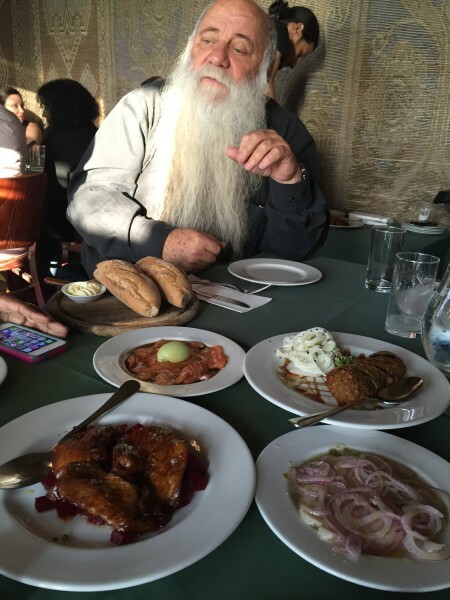 Food is a big part of the culinary journey of discovering Israel. Avihai Tsabari, a former restaurateur, runs an array of food tours throughout Israel with Via Sabra , so if you like food and wine, he’s the guy who can take you of the beaten track. Wow! Some really wonderful ideas here. It makes me want to go back and spend even more time!